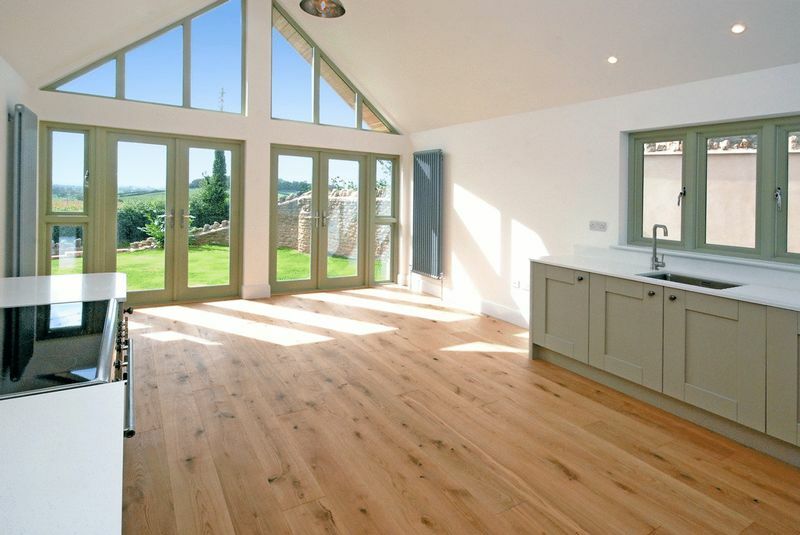 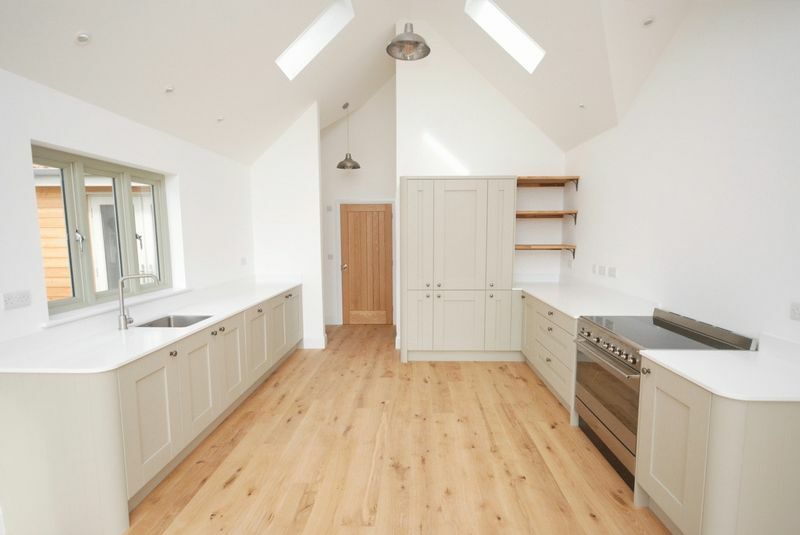 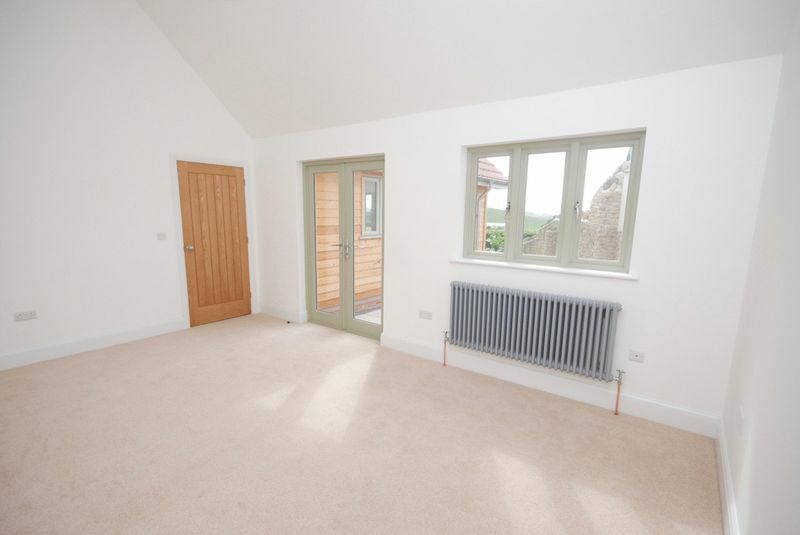 An exceptional brand new house in this popular village between Wells, Wedmore and Cheddar. 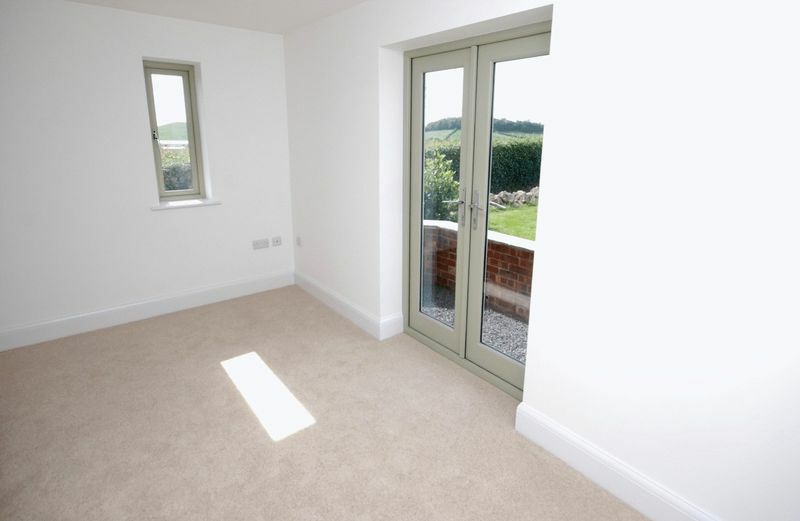 Oak View is designed and built to high standards with excellent and flexible accommodation. This includes plenty of light and airy living accommodation and both ground and first floor bedroom and bathroom suites. 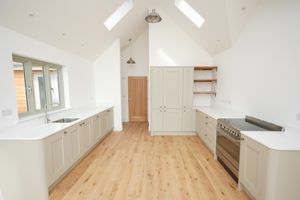 Entrance hall, inner hall, utility room, a quite stunning kitchen and dining room and an equally impressive sitting room. 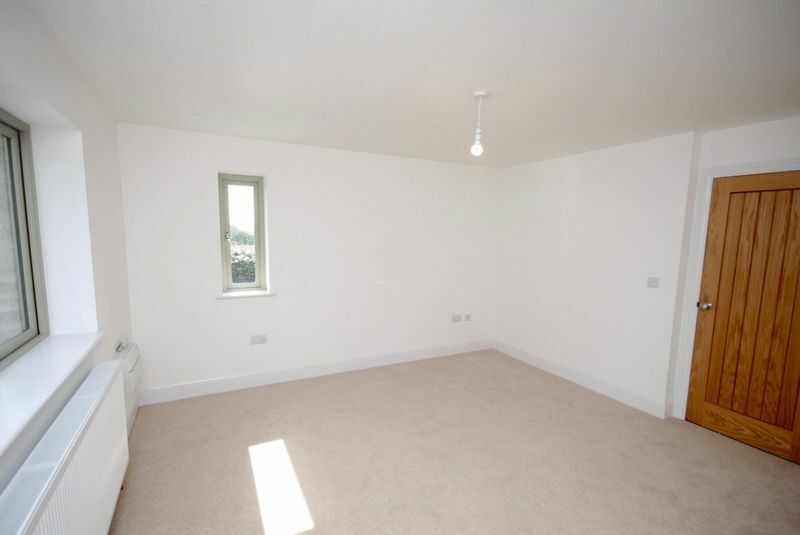 The 2nd reception room is just as suitable as a (4th) bedroom having an adjacent shower room/cloakroom. 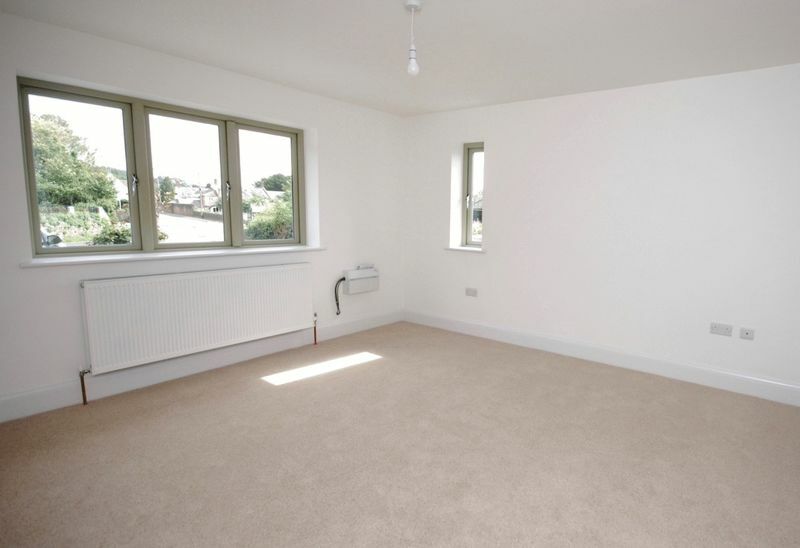 Also on the ground floor are 2 bedrooms and a bathroom and on the first floor is a large bedroom and bathroom. Practically all the rooms face south with beautiful views over the bordering countryside and outside are parking areas and a neat easily managed garden. 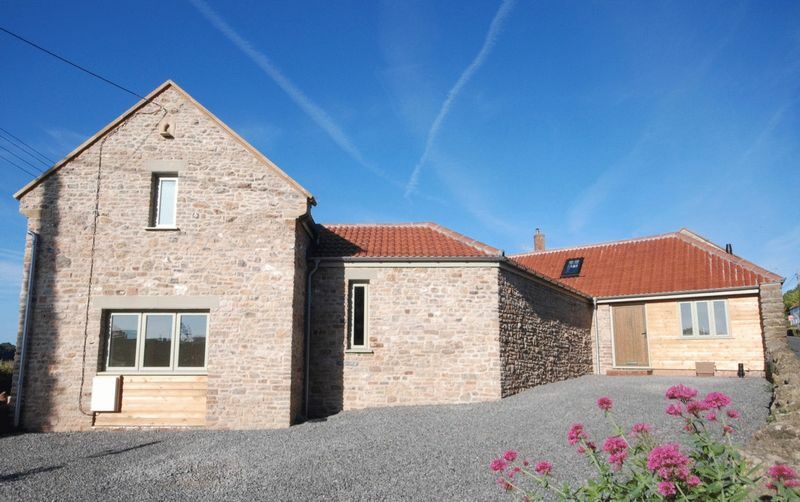 Oak View is towards the edge of the village with quite superb views southwards over beautiful unspoilt countryside It also close direct access to quiet lanes which lead from the village. A gravel drive leads in to a large parking area and to the east of the house. 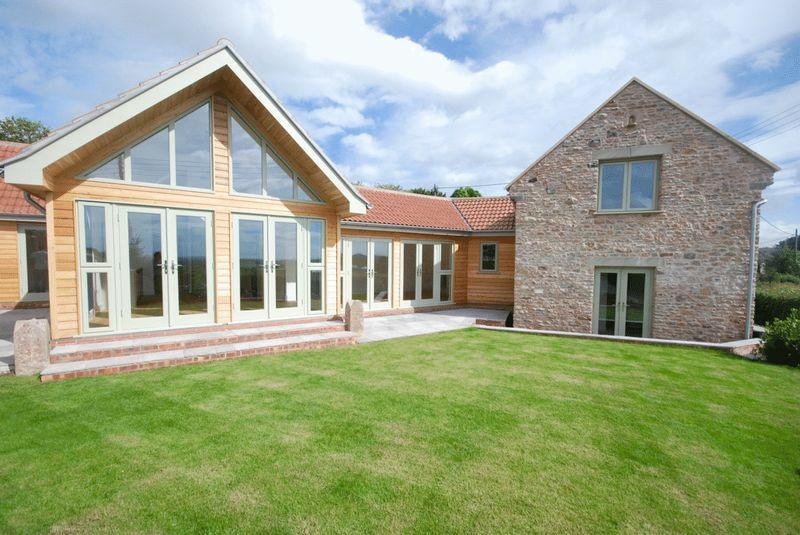 On entering the care and quality of design and construction is immediately obvious. 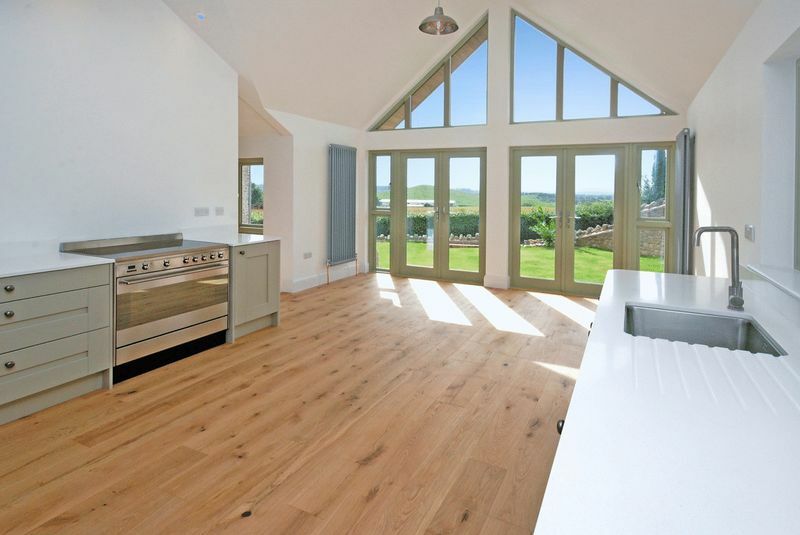 There are generously proportioned rooms with large windows and glass doors which flood the house with light. 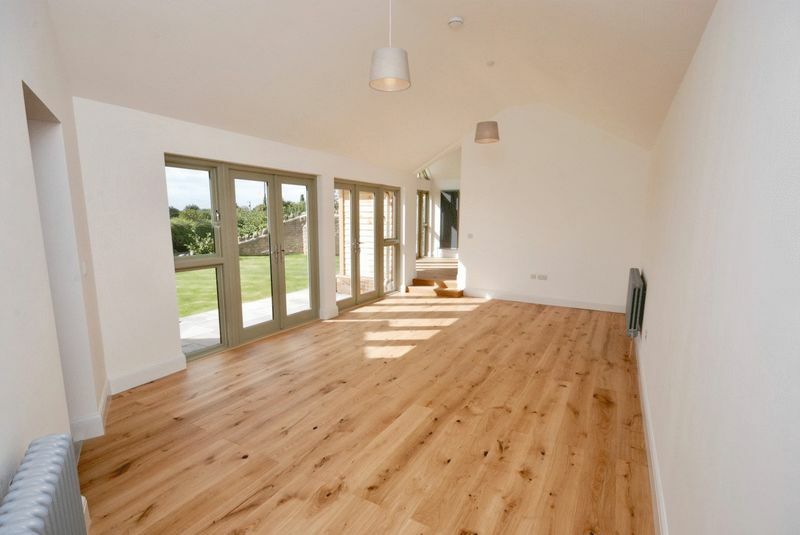 With most of the rooms being south facing this brings in a vast amount of sunshine which enhances the oak doors and the engineered oak flooring which bring warmth and character to the building. 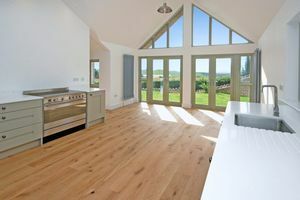 The feeling of space is emphasised a number of high vaulted ceilings and the house also benefits from a superbly fitted kitchen and several bathrooms. 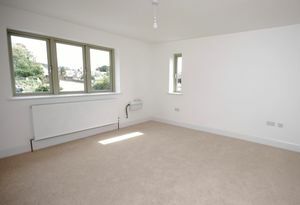 There is also full double glazing and gas central heating. 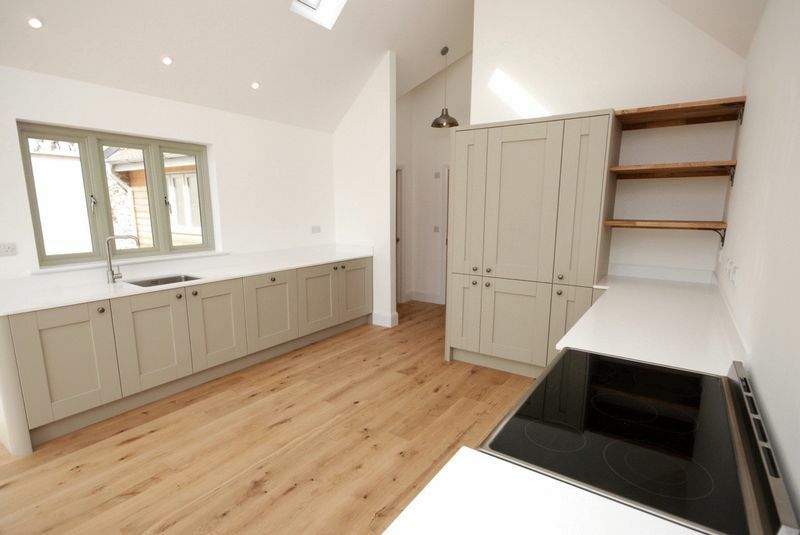 The front door opens into a hall and immediately on the right is a utility room with fitted units, a sink and the boiler for the gas central heating. 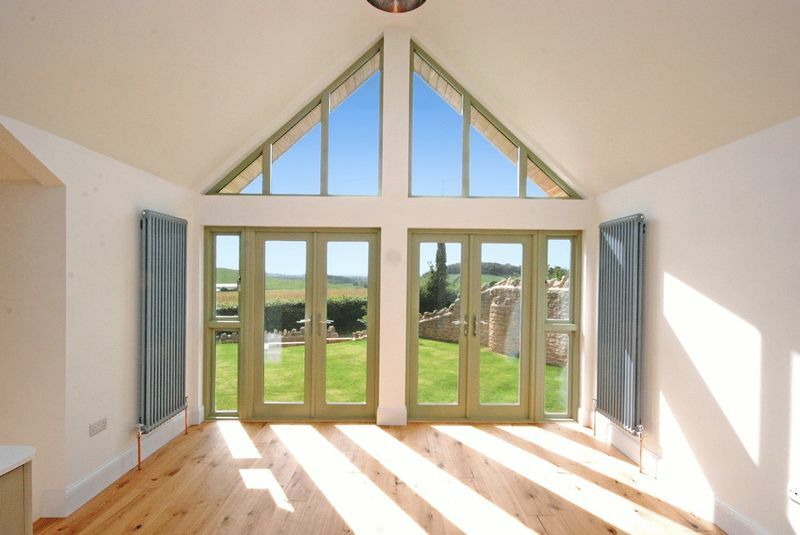 A door leads from the hall into the inner hall and through to the kitchen/dining/living room which is an absolutely stunning room with a high pitched ceiling and two sets of double french doors opening southwards into the well sheltered garden and with quite superb views. 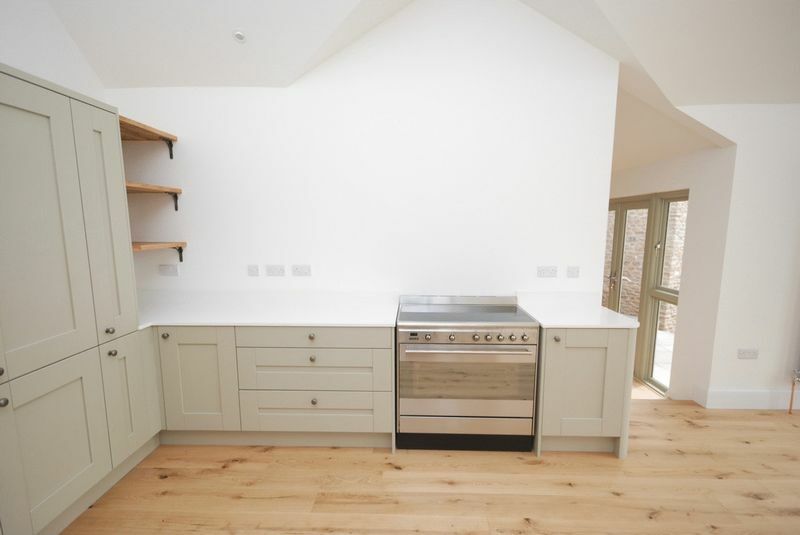 There's plenty of space for a table, chairs and sofas and the kitchen area is well fitted and beautifully designed in a highly contemporary style. Here there is an extensive range of fitted units including cupboards and (self closing) drawers, a stainless steel sink unit, mira stone work surfaces and integral appliances including a dishwasher, fridge, freezer and a Smeg range cooker. An open archway leads into the sitting room which again is a fabulous room with two sets of double french doors to the garden. Returning to the inner hall there is access to two other rooms. 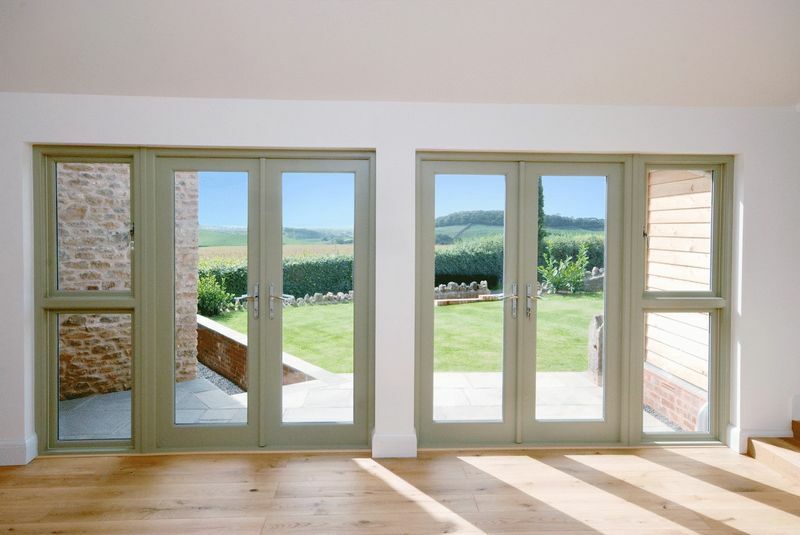 One being a further reception room, again with views and double french doors into the garden. 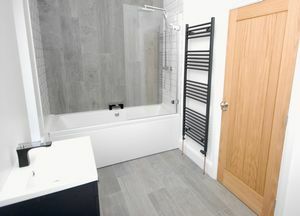 The second room is a shower room with a porcelanosa tiled floor, a large walk in shower area with a drench shower (with hand attachment) plus a hand basin and wc. 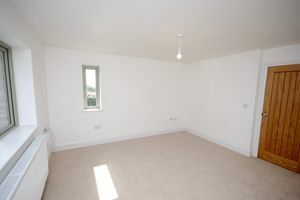 This reception room is also ideal as a 4th bedroom with the conveniently situated shower room adjacent. Returning to the sitting room a door leads to the bedroom hallway leading to 2 bedrooms and a bathroom. 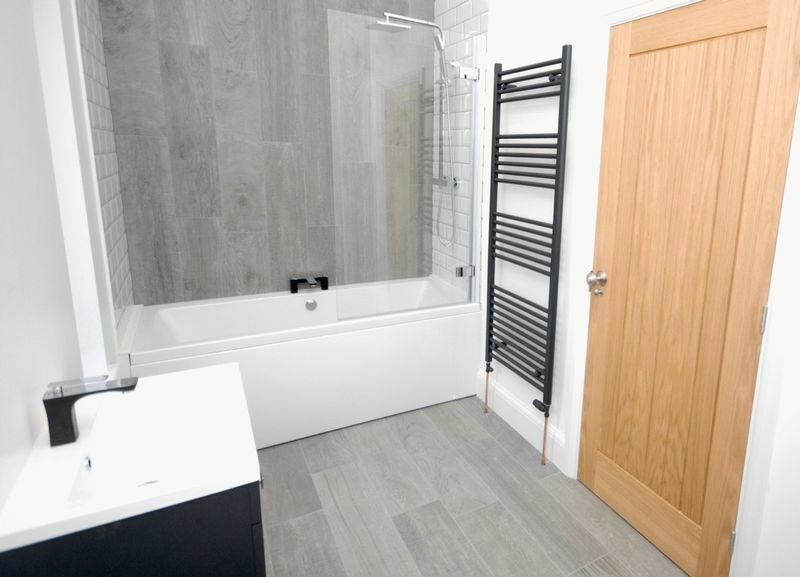 The bathroom has a tiled floor, hand basin, wc and a bath with a shower screen plus a drench shower above (with hand attachment). 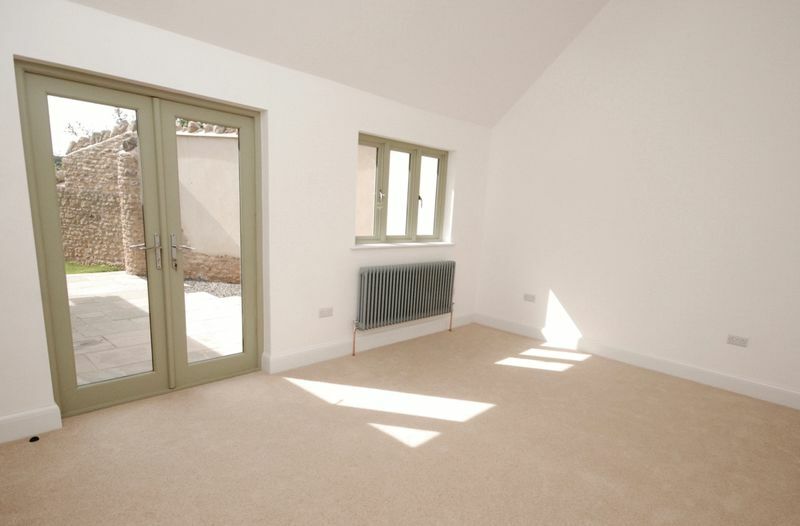 The hallway continues to the two further bedrooms with one having french doors to the garden. 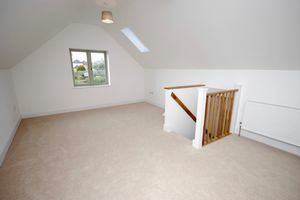 A staircase leads from the hallway to the first floor bedroom which is a large triple aspect room with windows to two sides, a velux window and a vaulted ceiling. 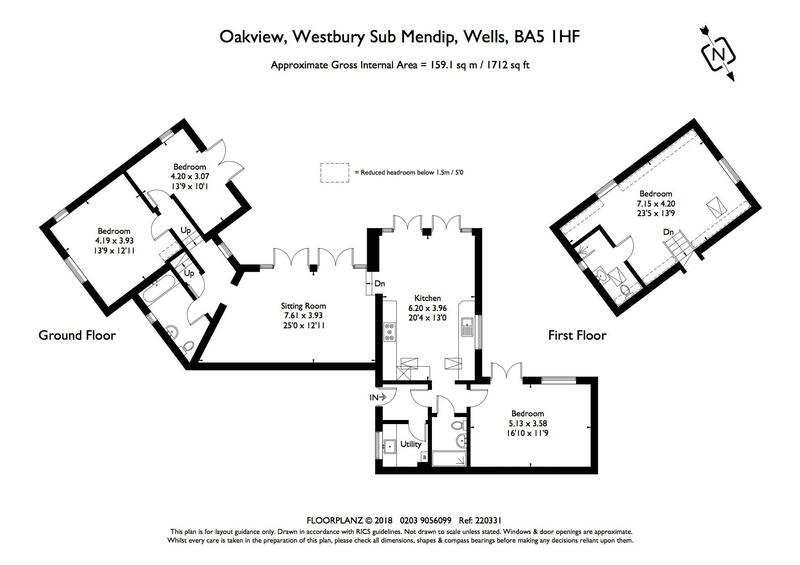 It has an en suite shower room with hand basin, wc and a walk in shower again with a drench showerhead and hand attachment. 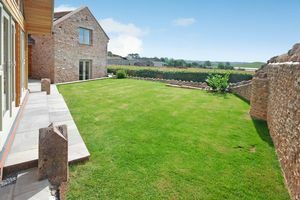 Outside on the southern side of the house is an easily managed and well sheltered sunny lawned garden bounded by stone walling. 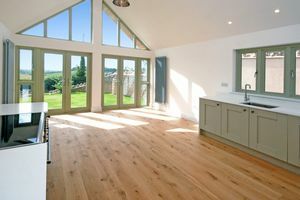 This is a village with a population of about 800, situated on the southern slopes of the Mendip Hills, half-way between Wells and the world-famous Cheddar Gorge. The village has a good community with many societies and organisations, a pub, village stores and post office and not least an excellent primary school (for seniors it is within the Blue School catchment area). 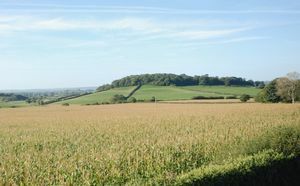 In addition the village is on the Wells Cathedral School bus route. For more information on the village go to www.westbury-sub-mendip.org.uk Handsome house with stone and timber clad elevations. 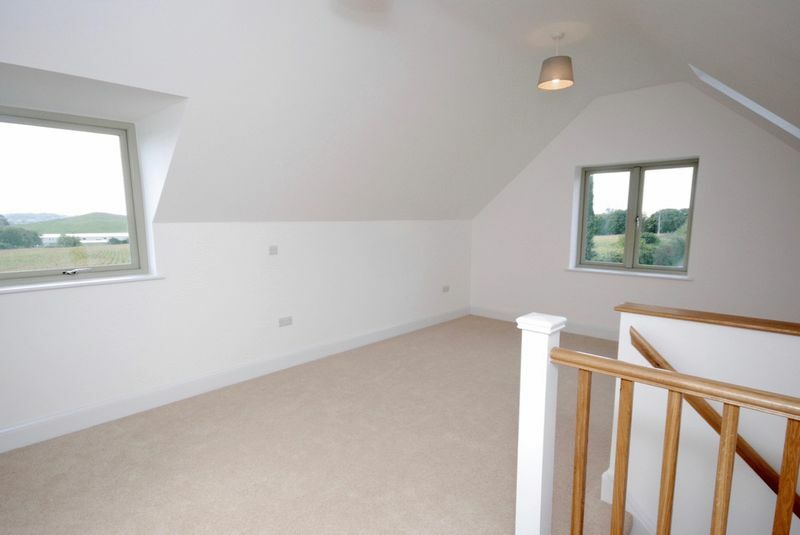 The house has mains services and a 10 year warranty. The EPC band is B.